Just Released! Christmas and New Years Weeks – 2 Bedroom Penthouse Residence! There are two weeks of luxurious holiday family fun that are NOW available! The penthouse condo framed in yellow in the photo above has the absolutely BEST views of the mountain, and the BEST weeks of the year. This fabulous fractional real estate opportunity at Grand Lodge on Peak 7 will not last long! 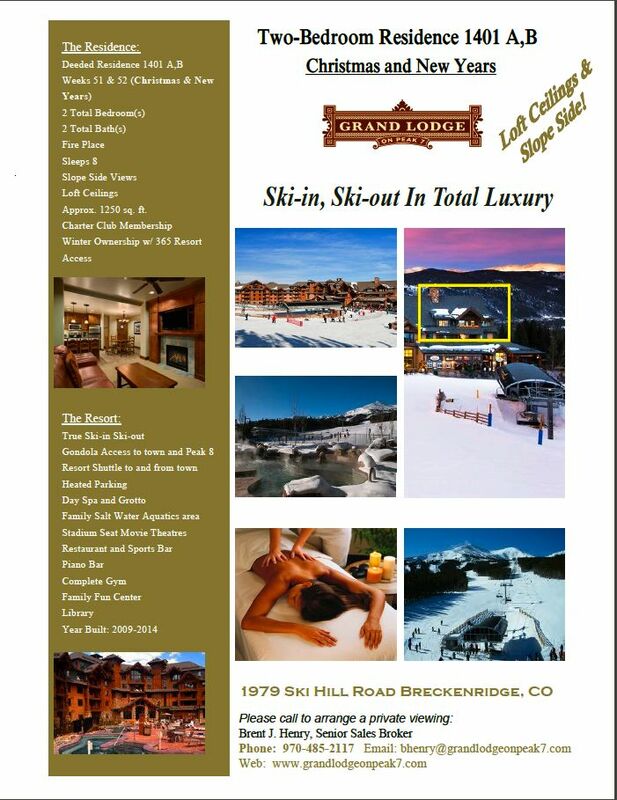 Call Senior Broker Brent Henry NOW at 970-485-2117, or e-mail Brent at: bhenry@grandlodgeonpeak7.com. This entry was posted on April 19, 2015 by elevatemarketingaz. It was filed under Breckenridge Colorado Luxury Condo Sales, Breckenridge, Colorado Real Estate, Fractional Ownership Real Estate Breckenridge CO, Grand Lodge on Peak 7 Breckenridge, Colorado, Luxury Fractional Real Estate Breckenridge CO, Luxury Fractional Real Estate Breckenridge Colorado, Ski In, Ski Out Luxury Condo Breckenridge Co, Ski In, Ski Out Luxury Condo Breckenridge Colorado and was tagged with Breckenridge Colorado, Breckenridge Colorado accomodations, Breckenridge Colorado condos, Breckenridge Colorado skiing, Breckenridge luxury condo sales, Brent Henry Breckenridge real estate broker, Grand Lodge on Peak 7, ski_in_ski_out Breckenridge condo.